This aspect of our work covers all associated areas of I.M.E’s business, supported with the most up to date software on the market. We can provide detailed reports and designs in preventative maintenance equipment, PAT testing, alarm systems, switchboard and control panels. We have a FLIR Thermal Image camera complete with software and personnel trained to use it to its full potential. From general preventative maintenance checks to class approved switchboard inspections, we can provide engineers to attend site or sail with a vessel to undertake the inspection. This form of preventative maintenance can prevent unwanted breakdowns or detect more serious problems such as fires or meltdown of equipment. Before undertaking a special class docking, I.M.E will attend and sail with a vessel to undertake a full thermal image of the ship, this is then passed onto the customer and class along with recommendations of any repairs needed. I.M.E has Pruftechnik smart align and supporting software, accompanied with a comprehensive SKF shim kit. Our specially trained personnel can attend your site or vessel and undertake the full alignment of your rotating equipment. This in turn is supported with a detailed certificate of readings before and after alignment giving the customer piece of mind that their equipment is being used at its maximum efficiency and the risk of future mechanical failure is greatly reduced. I.M.E. has a Pruftechnik VIB scanner and has fully trained personnel in the use of this equipment. 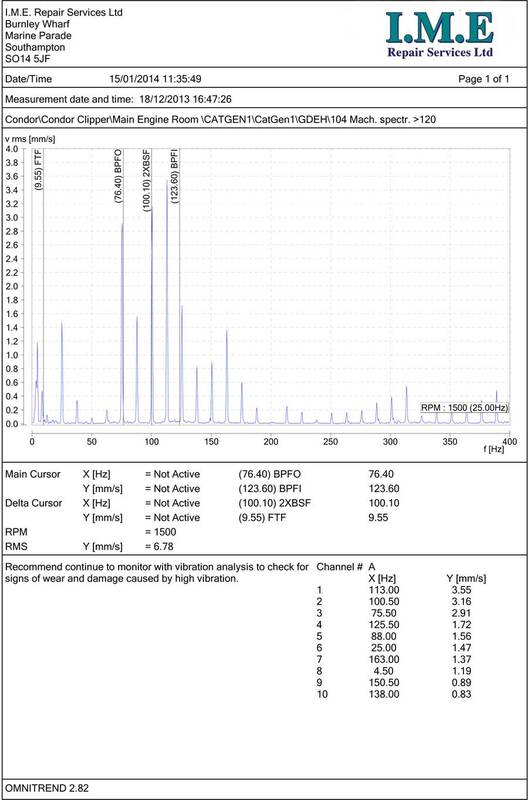 Our equipment is of an ‘EX’ standard so we are able to use this on the more sensitive petro-chem sites. 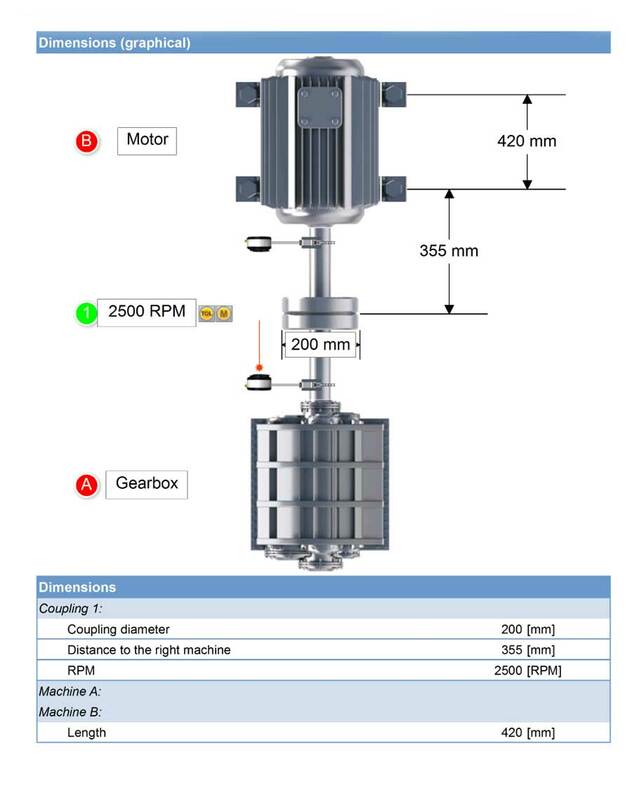 Monitoring your rotating equipment on a regular basis allows you to trend the condition of bearings, gears, fans etc, and plan when it is best to undertake repairs, should they be required. This prevents unwanted breakdowns which in turn could have resulted in a loss of revenue for the customer. 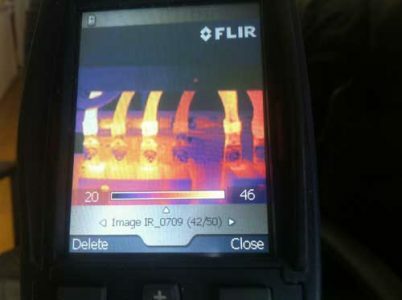 In an age where our carbon footprint is being addressed more and more by I.M.E customers and many other large organisations, this equipment along with the laser alignment and thermal image can reduce the footprint by means of making your equipment more efficient and addressing faults in advance, allowing planned repairs to be undertaken. Our equipment also has a balancing machine software within which allows us to undertake onsite balancing should it be requested. I.M.E uses Fluke PAT testing equipment and software. We are able to produce a company database on our system and allocate all portable equipment with its own unique code and bar code. This allows us to identify your equipment with ease if it has been registered and tested previously. Customers receive a detailed certificate for each item tested and when re-testing is due, reminders are sent out, taking the strain at staying on top of this away from the customer.